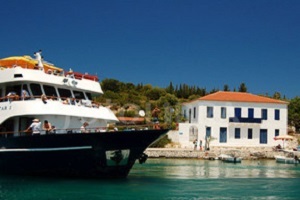 Come on board and enjoy a whole day out on the waters of the Ionian Sea. 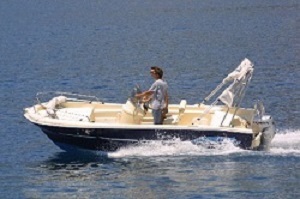 Book your tickets for a guided boat tour or rent your own small motor boat. Design your own day at the Ionian Sea. Explore all the gulfs and bays of Kefalonia that cannot be reached by car. There are available boats with ice boxes and tents for the sun. There is no need of any driving license. Some of the gulfs you are going to visit are Doliha, Xalasmeno Karavi (Broken down ship). Enjoy in one day the most interesting places of Ithaca. Visit Gidaki beach, the capital of the Island, Vathi and the quaint fishing ports of Kioni and Frikes. Price per person: adults: 30€/ children: 15€ (5-12yrs old). Get the most out of the Ionian Sea in one day. Enjoy historic Papanikolis cave, Onassis Island, Scorpios, and Nydri port in Lefkas. Price per person: adults: 35€/ children: 15€ (5-12yrs old). 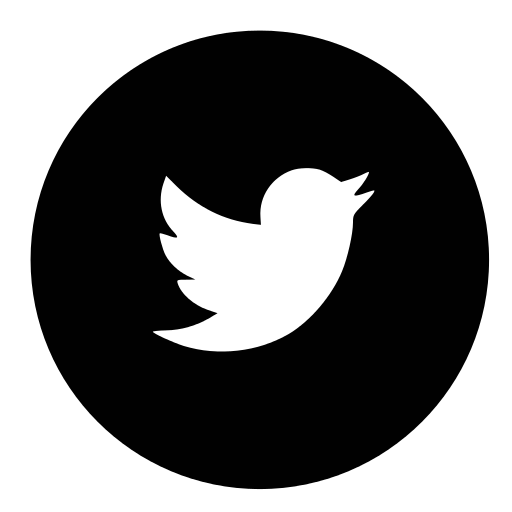 Duration: 7hrs, from 10:30a.m.-17:00 p.m. Explore all the different spots you view from your balcony at Agnantia, with Jamie and his traditional wooden caique (Kaiki) boat. 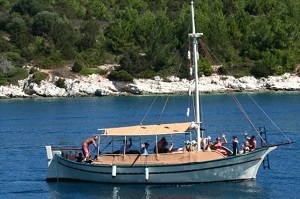 This is a vintage style cruise at the Sea Canal between Ithaca and Κefalonia! Come on board! Price per person: adults: 60€ / children: 50€ (up to 12yrs old) Duration: 7hrs- from 09:00a.m. till 16:00p.m.